We are about to head into the final quarter of the 2017 school year in Australia and planning for 2018 has begun. 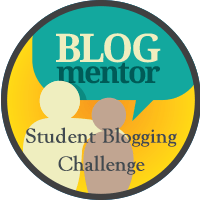 February 11th 2018 will be the starting bell for my 28th year of teaching … and some recent conversations with a graduate teacher made me think about how we keep our own engagement in our profession going. I was in the SES (State Emergency Service) for five years. As a first responder it is drummed into you that you need to look after yourself first, and sometimes that means not rushing in to help victims. I think this is also true for teachers. We get so focused on our students and their needs we forget our own. It is easy to get swept up in curriculum, administration and day-to-day happenings and teacher burnout is a real thing! We need to look after ourselves first!! I confess that not all of my 28 years have been enjoyable (although I wouldn’t trade any of the experiences – they have all shaped me into the teacher I am today). I have been stressed, depressed, exhausted, frustrated, bored, elated, excited and proud. There have been plenty of times I have questioned if I should change careers but I am still here. I reminded my younger colleague that we are only paid to work 38 hours a week! We all know that good teachers spend waaay more than that time planning and preparing lessons and resources … but we need to remember that this is a choice. It is also a perfectly acceptable choice to say, I have a life outside of teaching! My ‘time-out’ is craft work – patchwork, quilting, knitting, crocheting, sewing, scrapbooking, soap-making, etc. My sister (also a teacher) has taken to running – she is currently on track with training for her first marathon! We also have a weekly (sometimes more) ritual at my current school of heading to the coffee shop at the end of the day. It could be a group of two or ten – but the conversation about school doesn’t last long, we move on to everything from town gossip to current affairs. The important thing is to take time out to enjoy the things you like to do. You need to keep your interests alive and this will keep your energy and creativity going. We encourage our students to do this!! During official working hours, I look for opportunities to challenge myself. If you find yourself falling into the trap of teaching the same thing year after year, you need to stop and change. I am lucky that I am teaching in a small school at the moment so I have the luxury of each class being an entire year level. However, in the past, at larger schools, even when I was one of six classes in the same year level, I could still challenge myself to do things differently. Teaching is a collegiate activity – I enjoyed working in teams and thrashing out new ideas and activities. In my small P-12 school my graduate colleague and I have devised an interesting project for term four. She teaches a grade 3-6 composite and we have planned a literacy programme together (some of which we plan to team teach) based on Roald Dahl’s The BFG. 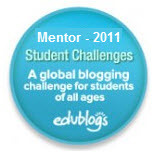 For both of us this is a challenge and an opportunity – as secondary English teacher I bring different ideas, strategies and approaches compared to my primary colleague – we are excited about learning from each other, and I look forward to starting to build relationships with students who will be in my classes in the future. 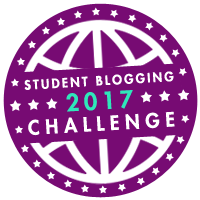 I also volunteer my time to be a mentor in the Student Blogging Challenge … this year will be my second time around! My current students are mostly from the USA but in the past I have mentored students from Ireland, UK and Russia. This has also meant I have made connections with teachers from those schools. Opportunities like this, along with a healthy PLN on twitter, means I have discussions about teaching and education on a global scale. What are you doing to keep your enthusiasm going in 2018? A new perspective? A new role? A new job? What are you doing to look after yourself in 2018? hobbies, interests, time-out? When was the last time you read a book, went to a movie or took a holiday?